Although no cleaning product is free of hazards; pine oil is generally safe if used properly. Like any other heavy-duty cleaner, precautions should be taken when using pine oil. Read the directions for each product carefully and follow the suggestions on how to use pine oil. Worldwide Janitor offers a line of pine oil products, ranging from 3.94% to 80% pine oil. This complete line of pine oil products are part of Snee Chemical Company’s line of products distributed by Worldwide Janitor. We carry Snee Chemical’s pine oil products specifically because they contain some of the highest grade of natural pine oil on the market today. 80% pure pine oil is probably the strongest pine oil available today. Like many of today’s commercial products, it cleans effectively, disinfects, sanitizes, and deodorizes. It can be diluted and still have the same powerful effects. Among its many applications for cleaning, 80% Pure Pine can be diluted to clean concrete or tile floors. It can also be diluted to clean a number of non-porous surfaces such as shower stalls, sinks, toilets and other similar surfaces. It can be used to disinfect trash cans as well. Add ¼ cup of 80% Pure Pine to 1 gallon of water. No rinsing is required on these surfaces. Simply apply the solution with a brush, mop, sprayer, or rag and allow it to sit on the surface for 10 minutes. Pre-treat soiled laundry, by rubbing 80% Pure Pine on soiled areas of clothes, such as collars, cuffs and everyday stains. Put the clothes in the washer along with ½ cup of 80% Pure Pine and your regular laundry detergent. Baby clothes, bedding and diapers can pre-soak in ¼ cup of 80% Pure Pine and 1 gallon of water before washing them. It can also be used to bathe dogs by using 3 teaspoons per gallon. 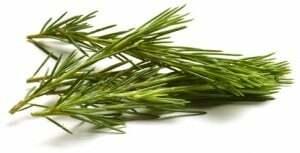 80% Pure Pine also works well as a natural insect repellent for areas that attract flies and other pesky insects. Dilute a solution and spray over problem areas that attract flies, such as trash can and dumpster areas. Pure Pine II is 46% pine oil plus soap. It’s best used as a general purpose cleaner on similar surfaces that use 80% Pure Pine Oil. Use it with a microfiber cloth, mop or scrub brush to clean a variety of surfaces when you need some soap for the job as well. Pure Pine 20 Disinfectant is 20% pine oil. It kills a variety of viruses and bacteria, including Escherichia Coli, Salmonella , H1N1, HIV-1 and a variety of other viruses and bacteria that cause illness. Cleaners that kill harmful viruses and bacteria are often required to maintain janitorial bonding and insurance. Apply Pure Pine 20 directly to the surface using a spray bottle and allow it to dwell on the surface for 10 minutes. Rinse the surface after 10 minutes. As an EPA approved disinfectant, it can only be offered in Louisiana and Mississippi. This is due to the kill claims made on the label. Pure Pine Odor 10 also provides the same ability to kill a variety of viruses and bacteria if sprayed directly onto a surface and allowing it to dwell for 10 minutes. It’s a multi-purpose germicidal cleaner used on a variety of hard surfaces. It can be used in critical care environments, manufacturing, processing plants or other cleaning environments. Its fresh pine scent makes it an ideal disinfectant for any environment, with the exception of areas that handle or manufacture food. As an EPA approved disinfectant, it can only be offered in Louisiana and Mississippi. Pine 10 uses a smaller amount of Pine Oil for scent, and is more of a quaternary disinfectant, which makes it cheaper as well. Amono Pine contains 10% pine oil combined with ammonia. This is another one of your grandparents’ industrial cleaners that was forgotten about when all of these cheaper, artificial cleaning products started coming out of the woodwork. Amono Pine is ideal for bathroom and kitchen surfaces to remove mold, mildew and other hard-to-clean dirt build-up, such as grease. Due to its alkalinity, it has degreasing properties that help it clean messes some soaps have trouble with, and it also evaporates more – leaving less residual. It has a strong smell, and because it evaporates more, use it in a well ventilated environment. It’s suggested to apply Amono Pine with a microfiber cloth, mop or scrubber brush. Personal protective equipment is recommended when using this product, because it’s powerful enough to get the toughest cleaning jobs done. All of these pine oil products provide a thorough cleaning and sanitizing of a variety of surfaces. Consider true pine oil products for your business by ordering them online at Worldwide Janitor. Your clients will appreciate your attention to not only cleaning, but disinfecting and deodorizing their facilities. This entry was posted in Bathroom Maintenance, Degreasers, Disinfectants, FAQ's, Floor Care, Insecticides, Odor Control and tagged 80% Pure Pine, Amono Pine, Pure Pine 20 Disinfectant, Pure Pine II Cleaner, Pure Pine Odor 10. Bookmark the permalink.